Peaceful and beautiful place in the mountains in Manabao, Jarabacoa, Dominican Republic, surrounded by nature, perfect weather and crystal rivers. Second floor. 3 bedrooms, 1 bathroom, kitchen, dinning & living room, balcony, huge terrace and amazing view. The house is very close to a river. secure parking in the driveway, cable tv, wifi, water heater. fully furnished. 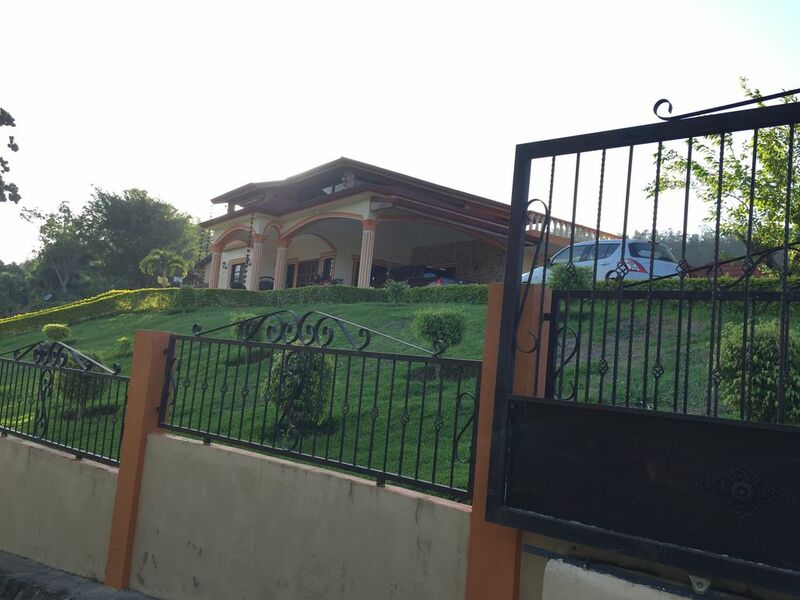 Many places in Dominican Republic have a slightly lower standard of living than most people are accustomed to. However this house is an exception, since it is on the second floor and on a hill, there are not many mosquitoes or bugs. The mountain air is refreshing and not as hot as the rest of the country. enough towels and two set of sheets are provided for each bed. it is not replaced or they change. the guest should wash them when necessary. open floor plan in to the dining room. the property is in a second floor. It does not have an electric plant but with batteries that normally work until the light is restored. In the Dominican Republic light goes frequently.